The condition known as kidney failure in dogs usually occurs from injury, infection or disease of the kidney. This can result in either a complete shutdown of the organ or over 70% loss of function. When clear signs of kidney failure in dogs appear, it means the condition has developed to an advanced stage. Prognosis: Several studies have shown the dog kidney failure life expectancy and survival rate of 226 days on average after the diagnosis (O'Neill et al. 2013). It’s vital to seek immediate veterinary treatment no matter how mild the symptoms may seem since early intervention can increase the chance of survival. Dog kidney failure, as the name suggests, is a significantly diminished or complete lack of kidney function. There are two common types of kidney failure in dogs – acute and chronic. You will also hear this condition referred to by the term renal failure in dogs (acute renal failure and chronic renal failure). While this may be confusing, all of these diagnoses mean pretty much the same thing – your dog’s kidneys aren’t functioning correctly. The initial stages will be classified as renal damage or kidney disease before they progress into complete dog kidney failure (Grauer, 2005). Your veterinarian will be able to explain every stage and signs of kidney failure in dogs, and work with you to create a treatment plan that is customized for your pet's exact needs that includes proper diet and medication. The signs of kidney failure in dogs for all stages are similar, but acute and chronic kidney failure do have one clear difference: the former appears all of a sudden while the latter develops gradually. Acute kidney disease is most often due to an underlying condition. Whereas the latter develops over a period of months or years, and it can be difficult to diagnose as symptoms of kidney failure in dogs with chronic disease can only appear when it has progressed to an advanced stage. Furthermore, if signs of kidney failure in dogs weren't enough, if not treated appropriately, this condition can progress into many other health complications, such as Hyperkalemia (Segev et al. 2010). It's been shown that hyperkalemia in dogs occurs as a result of improperly devised dietary plan for dogs with kidney disease, and it only diminishes the function of dog's kidneys. Reduction of potassium seems to be the most effective way to fight hyperkalemia, but we'll get to this later in the article. Kidney failure in dogs is not curable, but it is treatable (Polzin, 2013). Although dog kidney failure life expectancy isn't very optimistic, treating the condition may extend it. According to research, the most effective approach is early intervention that results in adjustment of your dog's diet. Your dog may be able to live many more happy years if you work with your veterinarian to create an appropriate treatment plan. The kidneys are one of the most important organs and perform many functions to keep the body healthy. In order to understand how serious kidney failure in dogs can be, you first need to understand the many jobs of these vital organs. Your dog’s kidneys work to filter out waste and toxins from the body. They do this by processing all liquids within the body, from the blood to ingested water. The kidneys remove toxins and bacteria every single day by eliminating them via the urine. This waste whooshes along to the bladder, ready for removal from the body. Not bad for two pretty small organs. As well as removing the bad stuff, the kidneys make sure that your dog retains everything that he needs, most notably protein. When your dog is no longer able to keep this protein effectively, this will seep through to enter the urine. When urinalysis shows protein in the urine, this is usually a clear sign of damage, inflammation or disease to the kidneys. With the job of filtering the bodies fluids, the kidneys play a significant role in hydration, keeping in the water that the body needs to regulate temperature, ensure cell health and maintain virtually all body functions. When the kidneys become damaged, they can “rush” the filtration process and send the good water out with the bad. This means that the body can quickly become dehydrated. Your kidneys play a vital role in calcium absorption. A healthy kidney can convert Vitamin D into Calcitriol, which helps to increase the calcium absorption into the blood. Without this, your dog’s bones can become weakened causing one of the less common kidney failure symptoms of spontaneous bone fractures. Once kidney failure in dogs occur, all of the above functions in the dog's body are affected. This is why early treatment is important – not only to fix the problems with canine's kidneys, but to prevent further damage to the body that can result due to the lack of kidney function. In and of themselves, the kidneys are pretty sturdy little organs. They can manage quite well with diminished function even when your dog has been diagnosed with kidney disease. But an unfortunate reality of that is that the symptoms of kidney failure in dogs usually show up pretty late in the game. There's a large variety of causes and clinical signs of kidney failure in dogs, which makes the diagnosis more difficult (Chalifoux et al. 1982). It seems that excessive thirst in dogs is one of the more common and early symptoms. As shown in the Chalifoux et al. study and the Yhee et al. 2010 retrospective study, there's a ton of different causes for kidney failure in dogs, but the large part of them could not be prevented, such as genetic predisposition or aging. Below are eight of the most common causes of kidney failure in dogs as observed in several above mentioned studies. Unfortunately, old age is one of the most common causes of kidney failure in dogs. Most canines' risk of developing kidney disease increases after the age of seven, and studies have shown that the older the pets are, the more likely they are to experience dog kidney failure (Bartges, 2012). This risk can be decreased with the help of correct nutrition, adequate water consumption, proper and regular exercise from a young age as well as accurate body assessment by the owner. Food is one of the causes of kidney failure in dogs that you as a pet owner can control, and studies show that adjusting the diet and pairing it with medical treatment can improve chances of survival (Elliott, 2006). Poor nutrition affects your dog’s overall health, and dehydration is one cause for kidney inflammation; wrong type diet can make your pet dehydrated or overstimulate his kidneys. An inflamed or injured kidney is usually a clear sign that your dog is heading towards kidney failure. It can help to minimize the risk substantially by switching to low protein dog food brands, especially those with high moisture content, to help boost his kidney’s healing and function. 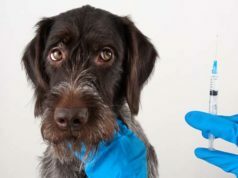 You cannot control your dog's genetics, and unfortunately, a large number of dogs develop kidney disease simply because they have a predisposition to this condition. In fact, congenital kidney disease is one of the most common causes of kidney failure in dogs and is seen more frequently in certain breeds, including Samoyed, Bernese mountain dog, Bull Terrier, Cairn Terrier, English Cocker Spaniel, and German Shepherd. A 2015 retrospective study of over 600,000 dogs in Sweden has also shown which breeds are most affected by some types of kidney problems, including mortality rates (Pelander et al. 2015). When buying your puppy from a breeder, you should do your research. Speak with the staff about the dog's history as well as owners of puppies from previous litters so that you can get a clear indication as to whether any health concerns are prevalent. If you’re adopting from a shelter, you have less to go on as usually the puppies breeding and potential hereditary conditions will be unknown. However, some rescue centers will offer free healthcare for common genetic conditions for the breeds mentioned above. It’s worth asking, but be aware that many smaller shelters don’t have the budget to offer this service. Furthermore, you can take a chance on DNA testing your dog, which can expose the canine's history. Certain DNA testing services even offer further investigation in the your dog's breed related health problems and potential hereditary conditions. Embark DNA does that. There's a proven risk of kidney problems in humans that's been associated with the environment, and the same stems for dogs too (Finn, 1977). Toxins present in your dog’s environment can cause irreparable damage to the kidneys over time. This can be from your home cleaning products, pesticides or fertilizers if you live in a rural area, all of which can be poisonous and causes of kidney failure in dogs. You should always limit your dog’s exposure to such chemicals, as none of these will have a positive impact on his health. Some of these toxins may also be cancer-causing for the dog. Helping your dog avoid these can be as easy as switching to all natural cleaning products and air freshener. If pesticides is a worry, do not let Fido outdoors the same day that the local farmer sprays his fields. For avid DIYers, here's a video guide on how to make your own natural and safe cleaning products that will not be harmful to your dogs in the household. There are several foods that are dangerous to dogs and result in health problems and even death. Some of these are specifically associated with kidney problems and have been shown as causes of kidney failure in dogs (Cortinovis et al. 2016). For example, chocolate is well-known as poisonous to our four-legged-friend. However, giving your dog grapes or raisins in particular has been most commonly associated with renal failure in dogs (Sutton et al. 2009). The best way to prevent poison induced kidney damage is to educate yourself on the most common toxins which dogs are likely to ingest. What may be surprising to some pet owners is that one of the most common causes of kidney failure in dogs are poor dental health. Studies have found a strong correlation between periodontal disease in dogs and acute kidney failure (Glickman et al. 2011). While poor dental health in dogs results in many other health problems other than kidney disease, many pet owners continue to ignore this important grooming routine. AVDC warns pet owners about the dangers of neglecting your dog's mouth hygiene, and how the bacteria within the mouth can easily travel into the bloodstream and cause permanent damage to the kidneys. Other than infections associated with dental hygiene, there have been other bacterial infections recently identified as causes of kidney failure in dogs, and particularly the acute renal failure (Stokes et al. 2004). X-ray photo of the abdomen of a dog with stones in the bladder and urethra. UTI’s, bladder stones and pancreatitis in dogs can detrimentally affect the entire renal system. The pressure build up of the urine causes a backup all the way to the kidneys which can cause inflammation. If this continues for a long time, irreversible damage can occur (Levy et al. 1986). When your dog is prescribed medication from your veterinarian, your vet will always inform you to keep an eye out for side effects and cease administration immediately upon spotting them. It can be easy to let this go in one ear and out the other, but medications can be just as dangerous as poisons for your dog. While pain management for dogs may already be a difficult matter to deal with, unfortunately, some NSAIDs (as well as improper use of NSAIDs rather than specific medication) have been found to be directly responsible for and seen as causes of kidney failure in dogs (Lomas et al. 2015). Although not a very common condition, bladder cancer can cause inflammation and a blockage of the renal system. Eventually, it will disrupt kidney function and can cause significant damage over time. Cancer treatment and inflammation medication can go a long way towards protecting the kidneys. With little medical care available for canines suffering from kidney disease and renal failure, the treatment and lifestyle management that he receives at home is all the more important, with some especially important areas of focus. Studies show that dietary changes that go alongside drug treatment are the most effective way to manage dog kidney failure (Hansen et al. 1992). Let's take a quick look at what has been shown to provide good results. As dehydration worsens kidney disease, it’s important to immediately take your dog off of certain dry food and it may be a good idea to place him on a high moisture diet. Some specific canned dog food brands are often the most highly recommended by veterinarians for dogs with kidney problems because they contain about 70% of moisture, but they aren't always the best option as well. While high protein diets are recommended for healthy dogs and will not affect their kidneys, several studies have shown that dogs with kidney disease will do much better on a low protein and low phosphorus diets (Finco et al. 1992). Protein is a lot more taxing on the dog's body and it takes more energy to digest. Dogs with kidney problems will seriously struggle digesting proteins, thereby stressing their already damaged kidneys even further. It’s important to decrease the amount of protein and phosphorus in the diet and switch to low protein dog food brands. All protein should be switched to human grade, fresh protein too. As well as increasing the moisture content of your dog’s food, you can also try to increase his water consumption. Dehydration is a big concern for patients suffering from kidney failure, and there a few ways that you can do your bit to make sure that Fido gets the liquids that he needs. If you need to hydrate your dog quickly, it is sometimes possible to give Pedialyte diluted with equal parts water. But, you must consult your veterinarian before you do this as it might not be suitable for dogs with underlying health conditions. Dropping a few blueberries into your pooches water bowl can encourage him to drink more as he tries to get to his healthy snack. Plus, it's a bonus that they contain antioxidants and have been shown to be extremely beneficial to dogs. Remember, don't use grapes – they’re poisonous to dogs. Most dogs love to drink from a hose or water fountain. Well, did you know that you can buy pet water fountains that have been specifically designed to encourage your dog to drink more? Be careful not to provide constant access if your dog gets carried away as water intoxication can be deadly. Do you have a favorite cup to use? We all do. And actually, sometimes our dogs do too. Try leaving three or four different bowls around the house. Use different materials including metal, plastic, and glass to see which your dog takes a shining to! During the summer, or in warmer climes offering ice cubes can be a surefire way to encourage your dog to drink more as well. Weight maintenance is an important part of kidney disease management to ensure that your dog is getting the nutrition that he needs. A simple way to weight your dog at home is by lifting him while standing on the scale. If you do notice changes in his weight, it may be a sign that his medication dosage or diet needs changing. Consult your veterinarian immediately upon seeing any changes in his weight. Supportive treatment is the best option for kidney disease in dogs, with the goal of helping the body to repair the damage by providing additional support through the recovery period. In cases of full on renal failure, no known medicinal cure currently exists. The only option is supportive care to minimize the symptoms and slow the progression of the disease. The first step is almost always providing adequate fluids. With IV fluids often being prescribed for use, this doesn’t have to mean frequent trips to the vets! Many vets will teach their patient’s owners how to administer fluids at home to avoid the unnecessary hassle and stress of having to go on frequent visits to the clinic. Organ transplants in canine patients are notoriously difficult, with dogs being prone to rejecting new organs. There are quite strict rules when it comes to canine organ transplants, with the owner being responsible for finding a donor – and many vets only accepting close relatives as donors. The UC Davis program for canine kidney transplants is one of the best in the country, yet they only see a success rate of 40% which should go a long way towards showing how complicated this procedure can be. As well as the rejection of an organ, other complication can occur – including blood clots, infection, and scarring of the ureter. The cost and long term care, including long term immunosuppressant medication often rule out this option. Dog kidney failure life expectancy is not optimistic, unfortunately. However, when working to be a proactive owner, you can manage kidney disease or failure, and in many cases provide your dog with years of living with a natural quality of life. When looking into medical treatment, it’s important to discuss with your veterinarian which treatment methods they feel are viable for your dog specifically. With so many potential causes for kidney failure in dogs, the solution is simple. Provide your dog with the healthiest life that you can, and don’t stress about the rest. None of us are immune to the factors out of our control, from genetics to environmental toxins.